MoCafe Blended Fruit Cremes are a unique, gourmet, trans fat-free, and coffee-free alternative for people looking for a caffeine-free drink, or just want to try something different. Similar to a milkshake, but MoCafe Blended Fruit Cremes require no ice cream to prepare�simply blend with ice and milk. Create an assorted case with four 3 lb. 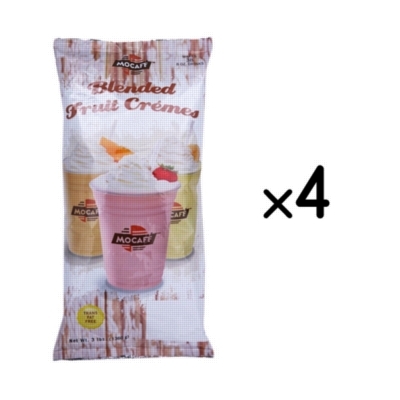 bulk bags from flavors like almond, coconut, honeydew, mango, taro, and more.